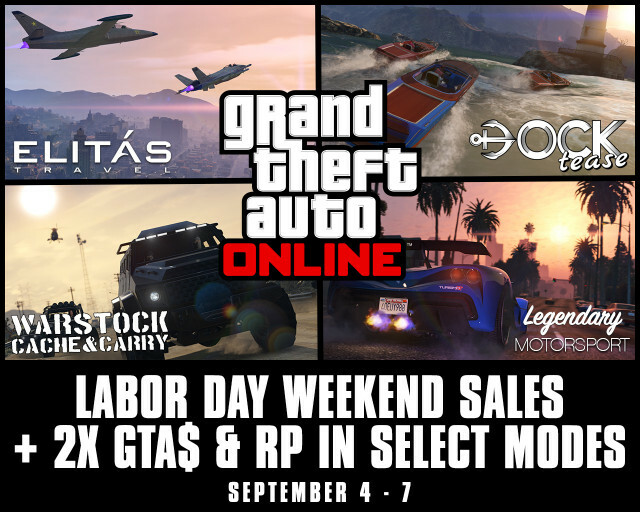 Never ones to miss out on the chance to commandeer a holiday as an excuse for promotional discounts, the Los Santos Chamber Of Commerce is celebrating Labor Day in Southern San Andreas with a docket of new deals in GTA Online this weekend, along with bonuses on select recreational activities. For all weekend jet setters, the online leader in executive aviation sales is offering a 25% discount on all aircraft and sponsoring 2X RP & GTA$ payouts on all Air Races and Parachuting Jobs for aerial thrill-seekers. On Saturday, the purveyors of high-performance vehicles are slashing prices across virtually their entire inventory by 25%, and also staking 2X RP & GTA$ payouts for all Land Races. Whether it's a leisurely sail off the coast of Chumash you're after or a speedboat to draw stares from Vespucci Beach, the boat of your dreams is 25% off this Sunday at Docktease. 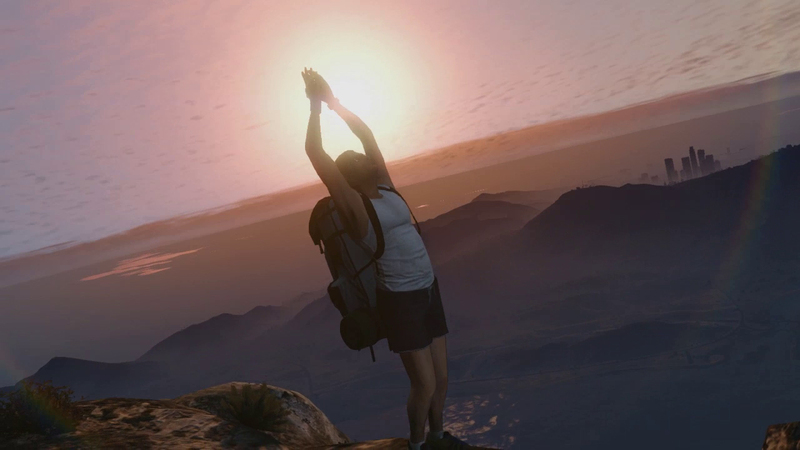 And if competitive watersports are more your thing, take advantage of 2X RP & GTA$ payouts for all Sea Races. Cap off the long weekend with some urban warfare compliments of Warstock Cache & Carry. All day Monday, get 25% off their entire stock and earn 2X RP & GTA$ payouts in all Deathmatches. Awesome! See you online and join the chat in the forums! The only thing I can possibly think of that might explain this situation, is the fact that I have never played a deathmatch - and I never will. However, I cannot tell if this is a factor that could affect the situation. No, I did not. I accessed the site almost exactly 24 hours after I bought two discount boats and almost exactly 48 hours after I bought approximately twenty discount high-performance cars. The same time of day, three days running. You might have missed the discount period. It was only good through Monday. Well , I've been to Warstock Cache & Carry, to get my 25% off, but the prices are still the same as they were yesterday and the day before. How do you get 25% off the Buzzard Attack Chopper and a tank? Labor Day Weekend Bonuses in GTAO - Rockstar is closing out the summer with special deals and bonuses in GTA Online.